Model GD4000PV5H is the right choice when you need a small air compressor, but don't have the luxury of electricity on the job site. 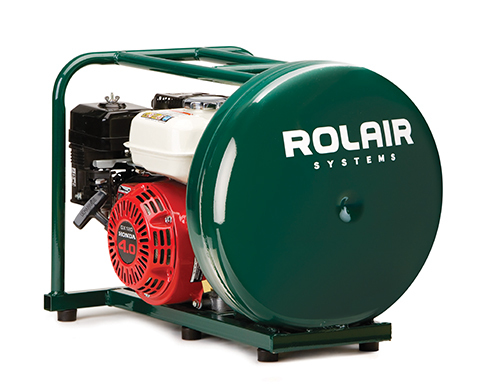 The fuel-efficient 118 cc (GX120) Honda engine combined with the high-output direct drive pump produces 4.6 CFM @ 90 PSI. PUMP OIL CAPACITY 4 oz. L x W x H 22"x16"x16"